Earlier today Samsung announced its new Milk Music player, and we're really digging all that it offers, especially for a free service. One limitation, however, is that the official version is really only available for select Samsung Galaxy devices, which means owners of other smartphone brands were left out in the cold. Or does it? 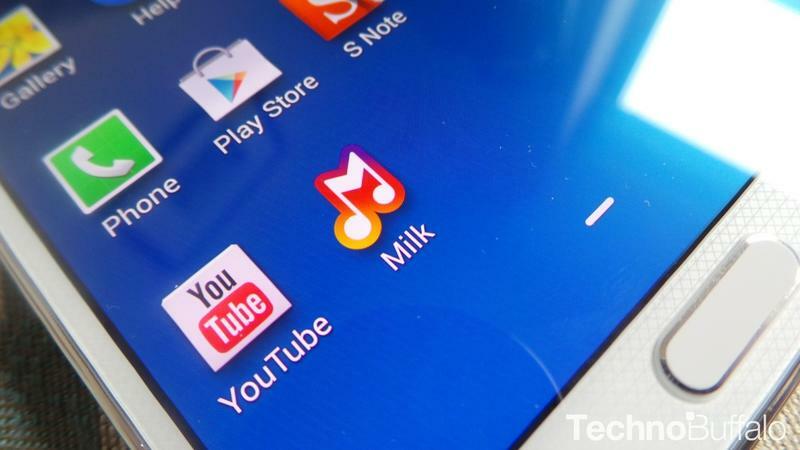 The Android modding community quickly jumped on the Milk Music release and has already found a way to get it running on different devices. AndroidPolice said that all you need is root support and a file manager. Then, you just have to make a few tweaks to your build.prop file to trick it into thinking that you're running on a Galaxy device, like the Galaxy Note 3, for example – that's the only file Samsung checks when it's trying to verify a device, AndroidPolice said. Next, just install the APK file and open the app. Boom – you now have access to free streaming music from Samsung. Keep in mind that any tweaks you make are at your own risk, and that the service was designed only for Samsung devices. We don't think it's out of the realm of possibility for Samsung to issue a quick update that makes it a bit harder to workaround. But hey – Samsung did a good job, check it out if you're willing.